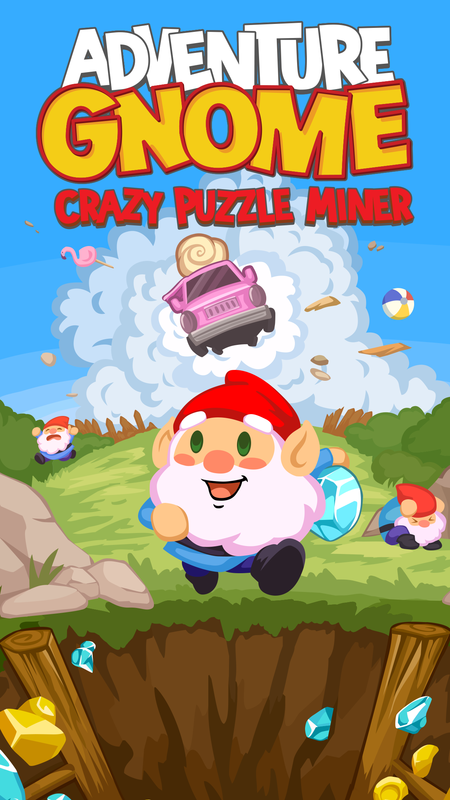 Adventure Gnome Game Available on the App Store and Google Play! Rolf Digstrom, a professional garden gnome and all around cool dude, was just chillin’ in his rad garden when BAM!!! A rampaging ice cream truck plowed through his herbaceous habitat and laid it to waste! 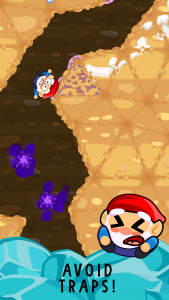 Good thing the old gnome Pickin’ Pete has a plan! He knows just where to get the sweet loot to rebuild the garden! 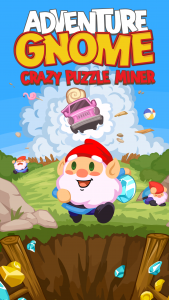 It’s up to Rolf to dig deep into the sacred gnome mine and find the funds to rebuild his perennial paradise, his blossomy back yard, his flowery fun place! 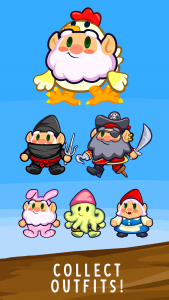 Unlock loads of awesome outfits and see how low you can go in this light-hearted, easy-to-play game for your mobile device! TAP TO CLEAR THE WAY, SIMPLE PLAY – Tap the rocks in the mine to clear the way for Rolf… it’s that simple! 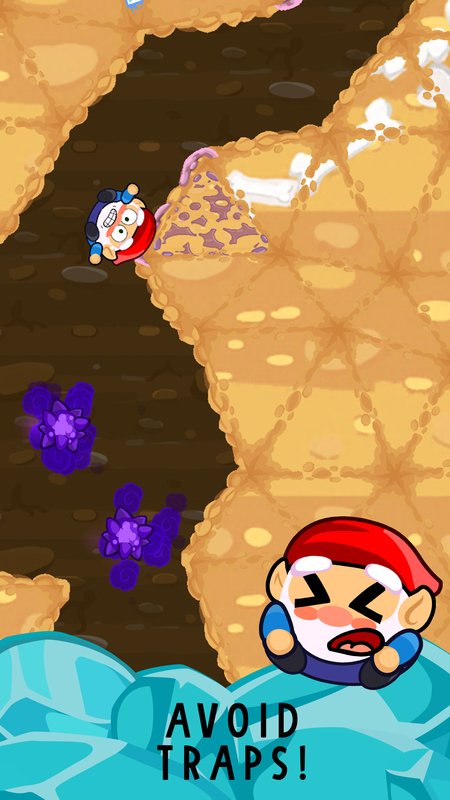 Keep Rolf’s momentum up and tap open as many treasure chests as you can along the way! HOW LOW CAN YOU GO? 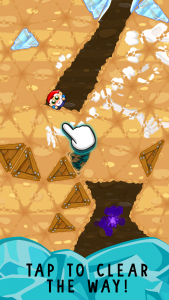 – Blast the way clear with hidden bombs, avoid poisonous gas, bounce off batches of fungi and become a really fun guy! See how low you can go to get the top score! Collect clocks to add to you timer because when time is up, Rolf turns back into a statue! 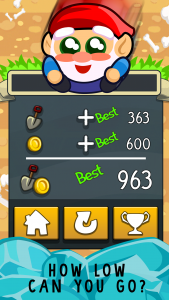 How deep you dig and how much moolah Rolf collects gives you your final score! HELP ROLF FIND GOLD AND COLLECT OUTFITS! 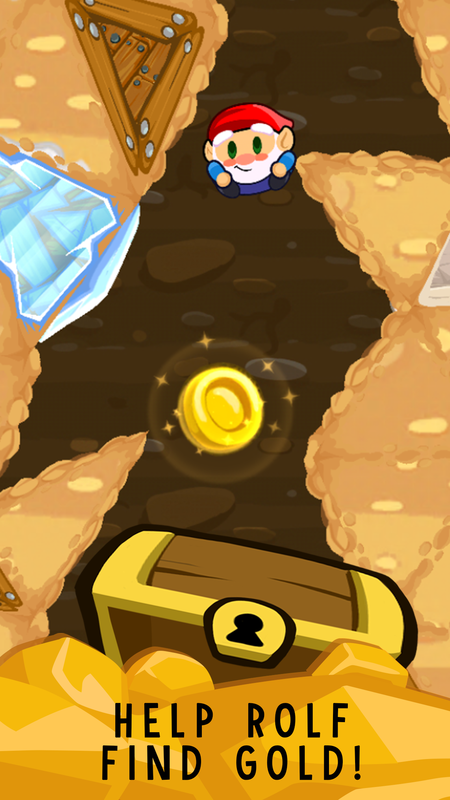 – Gnarly nuggets, brilliant baubles, and cool coins…grab them all and spend your hard-earned riches on cool new outfits for Rolf! Pink Bunny Pajamas, Disco Leisure Suits, Kitty Cat Costumes, and more! 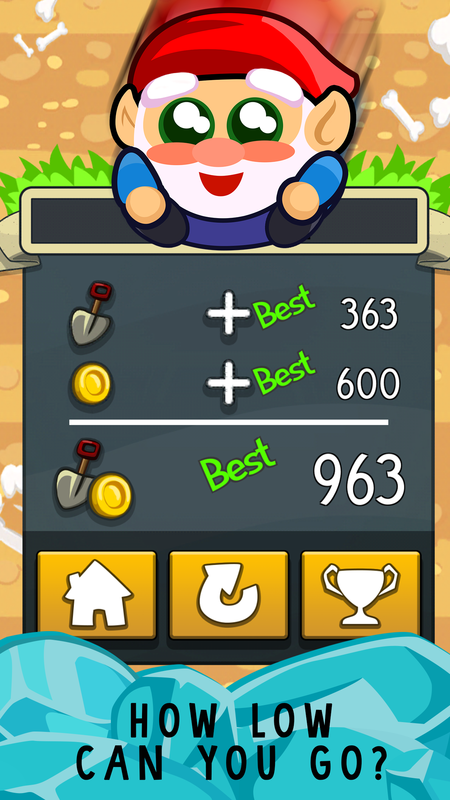 BE THE BEST GNOME AROUND – Dig deeper than the rest and be the best gnome in all the garden. Compare your scores (check back often!) with your friends and other players for bragging rights as top gnome! PLAY FOR FREE – Play as much or as little you wish. 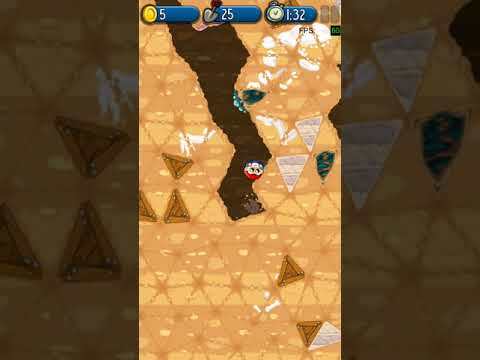 Adventure Gnome is free-to-play game with no hidden energy or life timers. You are never locked out from playing and can dig at your leisure. 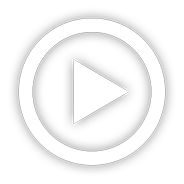 App available in English, French, Spanish, Italian, German, Portuguese, Dutch, Norwegian, and Swedish. Happy Easter! 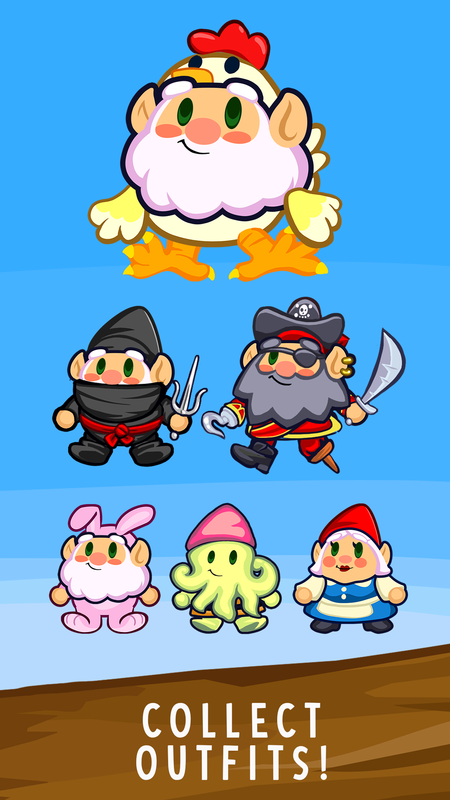 Discover all the Easter themed gnomes and items in Adventure Gnome today! DL for free at the App Store or Google Play (link in bio)!